The General Assembly of Vodafone approved the distribution of LE 5.5 billion of the company's profits to Telecom Egypt for 2018 for its 45 percent stake in Vodafone, a senior official said Thursday. The source added that Vodafone International, which holds a 55 percent stake, also receives its share of profits, reaching about LE 5.94 billion. In February, Egypt Telecom and Vodafone Egypt signed an agreement in the field of messaging, infrastructure and distribution of profits in the presence of Minister of Communications Amr Talaat. Talaat elaborated that the first agreement is about the distribution of profits of Telecom Egypt at Vodafone, which amounts to LE 5.5 billion. The profits will be disbursed by LE 4.8 billion in March 2019 and LE 700 million in June 2020. He added that the total distribution of profits for Telecom Egypt since the signing of the partnership contract between the two companies amounted to LE 8 billion. The Ministry of Communications added in a statement that the second agreement between the two companies tackled the provision of messaging services and infrastructure. Telecom Egypt operates within the telecommunication services sector focusing on integrated telecommunication services. It has 17 subsidiaries operating across British Islands, Western Europe, Northern Africa and Middle East, while Vodafone operates within the telecommunication services sector focusing on wireless telecommunication services. 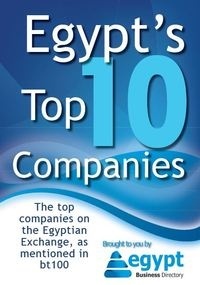 It has 2 subsidiaries operating across Egypt, working on internet software & services. Vodafone is based in 6th of October, Egypt and was established in May 1998.